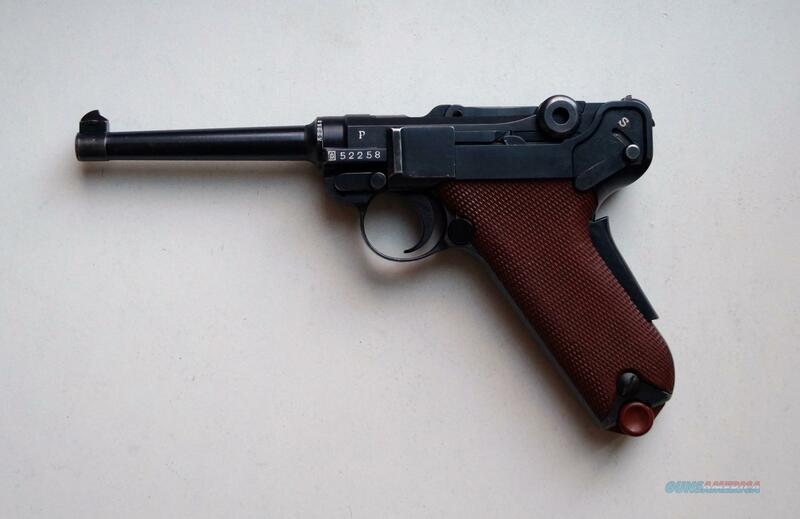 Description: THIS IS A 1929 SWISS BERN MILITARY LUGER WITH RED GRIPS, 7.65MM. THE LUGER IS IN VERY GOOD CONDITION. ALL ORIGINAL, NUMBER MATCHING INSIDE AND OUT, VERY GOOD BORE AND GRIPS, MECHANICALLY CORRECT AND TIGHT. THIS IS THE RARER SWISS BERN BECAUSE OF ITS RED GRIPS AND ORIGINAL RED BOTTOM MAGAZINE.